The Eukréa Electromatique company, whose headquarters are in Bordeaux, is a world renowned specialist in the engineering of on-board systems. Since 2004, the company has been developing optimised electronic and software solutions for embedded Linux applications. During its twelve years of existence, several technology companies have drawn on its know-how and skills. As part of its activities, the Eukréa Electromatique team is also contributing to the following projects: U-Boot, barebox, Linux, OpenEmbedded/Yocto and is sponsoring the OpenEmbedded project. Eric Bénard, the company’s CEO, co-authored the book ‘Linux Embarqué’ (Embedded Linux). The team of experts at Eukréa Electromatique, who have been working with Delair-Tech as technical partners since 2013, will be joining the Delair-Tech R&D team in September 2016: Delair-Tech is the world’s leader manufacturer of professional drones. This acquisition is in line with the Toulouse start-up’s strategy. It will enable the company to ensure rapid and harmonious growth to meet new technological challenges, which are sure to arise as the drone market expands. Delair-Tech is thus both securing a strategic partnership and enriching its R&D clout with key skills. The group’s workforce has now increased to 70 people. “During our long experience collaborating with Delair-Tech we have been very impressed with the team’s vision and energy. We are very happy to be joining Delair-Tech and to participate in the dynamic growth of this project”, says Eric Bénard, the founder and CEO of Eukréa Electromatique. “In grouping together the R&D teams of the two companies, we will be exponentially increasing our innovation and design capabilities in a field in which time-to-market is a key criterion,” explains Bastien Mancini, R&D Director of Delair-Tech. “We intend to reinforce our position as world leader of the professional drone market and to do that, rapid growth is indispensable. In this context, it is crucial to be able to gain a sustainable and solid technological edge over the competition. That’s what this purchase means for us, as it will enable us to reinfore our innovative capability and hence our development potential,” concludes Michaël de Lagarde, Chairman of the Board and co-founder of Delair-Tech. The Delair-Tech company, based from the beginning in Toulouse, now has business offices in Paris, Los Angeles and Sydney. Another advantage of the purchase operation is that it enables Delair-Tech to open an office in the Bordeaux region. 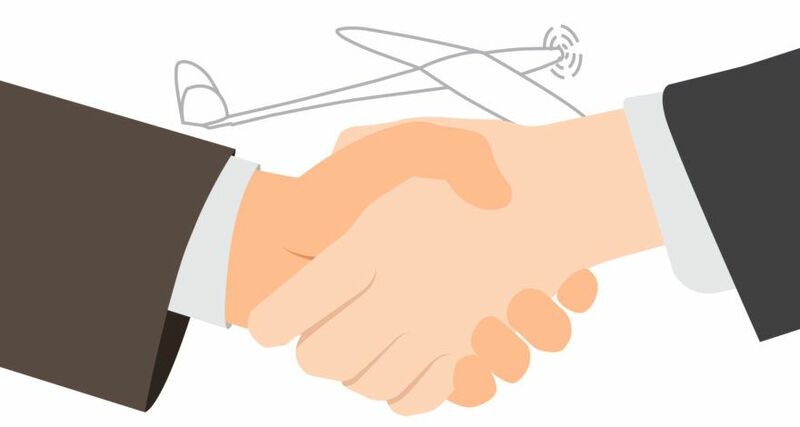 There is a long history of collaboration between Delair-Tech and drone stakeholders in the Nouvelle-Aquitaine Region, whether for supplying agricultural, electrical or topographic solutions or for setting-up technological partnerships. Keeping the Eukréa Electromatique office in Bordeaux will help reinforce this long-standing relationship while also enabling new business oportunites and new technological partnerships. Delair-Tech, a global leader in professional drones, supports corporate decision-making with its long-range drones. This French start-up, founded by four engineers in 2011, provides unrivalled professional data, collected and analysed by the only drones in the world certified for flying operations beyond the pilot’s visual line of sight. Delair-Tech also offers an integrated data- processing solution, to support decision-making tools in all sectors of industry. Delair-Tech is already active in 30 countries and has more than 70 employees involved in many areas such as agriculture, infrastructure, energy, mining and construction.